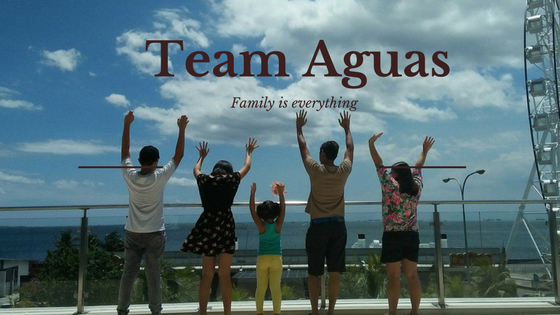 The Marvin Agustin - Jolina Magdangal love team has been very famous because of their partnership in numerous TV sitcoms, TV dramas and romantic-comedy movies. 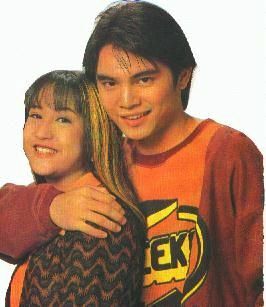 Their tandem started in the teen-oriented TV series Gimik in 1996. Marvin and Jolina are homegrown artists of ABS-CBN but they both moved to GMA Network. In 2006, they were again reunited in the TV series I Luv NY that was partly shot in New York. Here are the movies they made, almost all the movies were Romantic-Comedy!! A twin-bill, Flames: the movie features the loveteam of Jolina Magdangal and Marvin Agustin in the episode, "Tameme" for the first time in a movie. 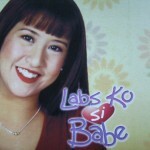 Jolina is Leslie, Butch's (Marvin Agustin) apple of the eye as well as Rolly's (Bojo Molina). The problem: Butch is tameme or more popularly known as torpe! Butch gets intimidated by Leslie being rich, which causes the conflict between the two. In the end, no matter who you are or how much money you have, love is still all that matters. Kung Ayaw Mo, Huwag Mo, is the first full length film of the Marvin-Jolina loveteam and the second movie Jolina is with Maricel Soriano. 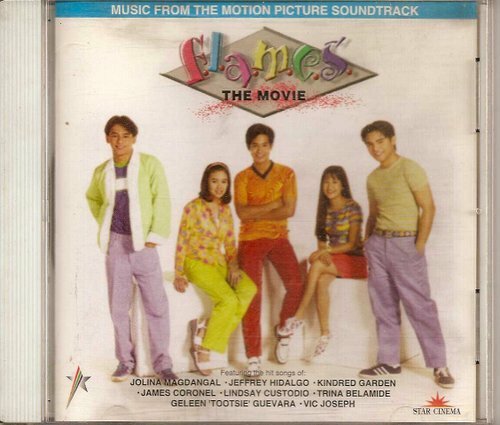 The movie is about the relationship of the 2 sisters, Ditas (Jolina) and Doris (Maricel Soriano) as they go through life with only the two of them together, and their respective love interests Marvin Agustin and William Martinez. The conflict begins when Doris becomes too strict on Ditas on having a boyfriend. Jolina and Maricel Soriano delivers a heartbreaking scene as Ditas and Doris pour their hearts out on each other in the classic "pencil case" scene. 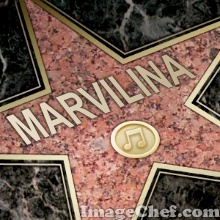 Every Marvin-Jolina fan knows that this film is "big" for the loveteam. This film is the big launch of the loveteam on the big screen and this film almost made these reel lovers to real lovers (almost? or did they?) Well, others say it was nipped in the bud. A film about bestfriends Bujoy and Ned as they enter college and as they both discover feelings for each other that is more than being bestfriends. The problem: Bujoy had feelings for Ned but he was too slow to realize that he had feelings for her too. He was too busy with Mary Ann not knowing Bujoy was hurting. The result: a bitter and painful revelation and confrontation in the parking lot between Bujoy and Ned. 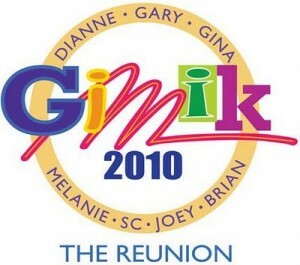 Gimik: The Reunion is the much-awaited get-together of the ever famous barkada on tv: Gimik. Television viewers loved them, and for the last time that we will all see them together, Star Cinema featured them in one movie. As most of us know, Jolina plays Ese, the bubbly girl who loves to make clothes. 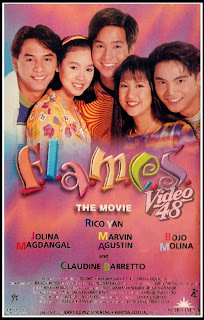 The tv series mostly showed how the barkada surpassed their problems as a barkada, but the film shows how each of the characters dealt with their own personal problems. Ese has trouble with money and her dad not being able to walk, and Joey (Marvin Agustin). Since Ese is too busy at home, Joey gets too "close" with an internet friend enough for Ese to break Joey's brand new car's windshield. Funny, because in the tv series, the viewers never saw a major fight between Joey and Ese because they were always a happy couple, and the break-up had to happen in the film. (Yes, they did break up.) 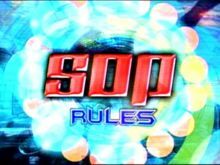 The movie ends, with all conflicts resolved, only, the Marvin-Jolina fans are kept hanging since Ese decided that she and Joey should just remain friends for now. Hey Babe once again pairs Jolina Magdangal and Marvin Agustin in a movie, as Abigail and Nelson respectively. Abigail is Nelson's apple of the eye. She is overly superstisious that she believes everything Madame Lola (Gina Pareño) says. So what Nelson does is plan a little scheme with Madame Lola to make Abigail believe that he is the one for her and eventually get her heart. Of course this causes trouble for him when Abigail finds out. But they eventually work things out in the end. They also did a lots of TV Show from the 2 TV network!! Favorite loveteam of the 90's!